Reality intervention show narrating the lives of 13 widows in the aftermath of their departed spouses, as they are forced to deal with the consequence of the loss. Widowed aims to highlight the devastation of loss and conflict that ensues thereafter, from being excluded by in-laws, the financial and emotional devastation, to having to deal with family members who are unsympathetic, and sometimes accusatory. 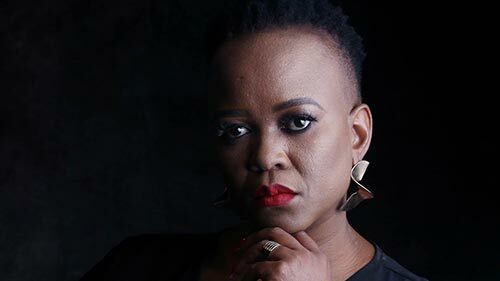 The series is mediated by Power Couple contestant Phindile Grootboom, who takes you through each widow's tale of meeting the love of their life, walking down the aisle and ultimately losing their spouse forever. 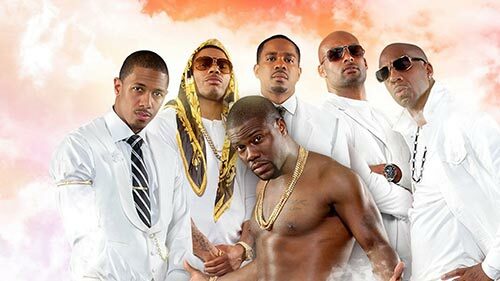 Real Husbands of Hollywood returns with more faux rivalries and dis-adventures. Find out which husband is pushed over the edge during the season premiere, following the Season 2 finale cliffhanger. Who survives to tell the tale? Will the truth come out? While Kevin ponders a new venture with comedy heavyweight George Lopez, the other hubbies get their hustle on this season as Nick runs for political office, Boris gets in touch with his spiritual side and Duane "Shake" Martin pushes the limits to get a piece of everyone's action. 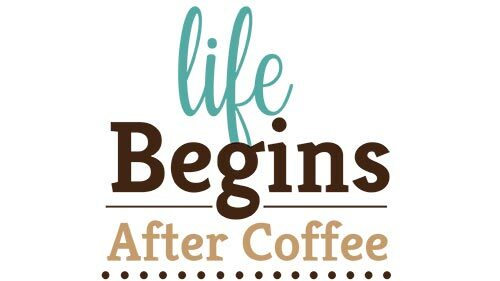 On International Down Syndrome Day 2019, SABC Education went to Cape Town to launch Life Begins After Coffee, an actuality series which explores ableism in society and how unconscious bias affects persons with disabilities. This six-part series follows the lives of seven people whom each have their own disability. It's three months since the riot and Deborah (Pamela Nomvete) has clawed herself back to the top as Governor of the prison. She has placed a pissed-off-with-the-world Tyson (Lorcia Cooper) in power, allowing her access to more contraband than the prison has ever seen. How long before the battle of wills commences? Joining the new season are Nthati Moshesh as Nobantu and Natasha Thahane as Katlego. Ouboet van Tonder and Wors Visagie are back, like pap and wors or fish and chips. Eldon van der Merwe joins the cast this season in the role of Elvis Prinsloo. 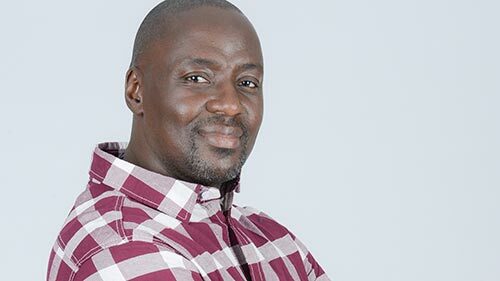 Hugh Masebenza also returns in his guest role as Fogile. In the first episode we get acquainted with Ouboet's new venture, but Gielie is worried that it might have an effect on his salary. Also, Hendrikkie is jealous because Elvis might be the son that his dad always wanted. Antonio Sabato, Jr travels to different locations, surprising lucky homeowners and helping to "fix and finish" their homes. Whether it's a living room, bedroom, dining room, deck or even restoring a beat up old RV, Antonio and his team are ready to tackle it all... in one day only. To pull this off, Antonio has enlisted the help of designers to help him create the perfect space for our homeowners. Each designer will bring in all the necessary specialists and subcontractors to create the perfect space for our unsuspecting and deserving family. In criminal cases in the USA, the law states that the defendant's guilt must be established beyond a reasonable doubt – but are convictions always so clear cut? 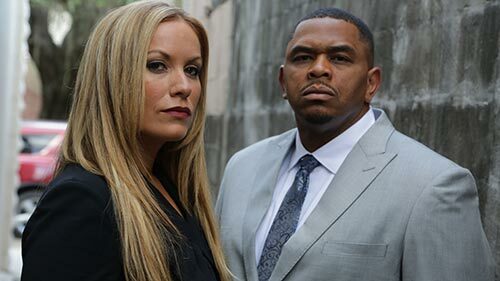 In this true crime series, retired homicide detective Chris Anderson and criminal defence attorney Melissa Lewkowicz open controversial murder cases and reexamine the evidence. Working together and employing their years of experience in criminal cases, they advise the desperate families of those convicted whether it's time to appeal or to accept the verdict, once and for all. 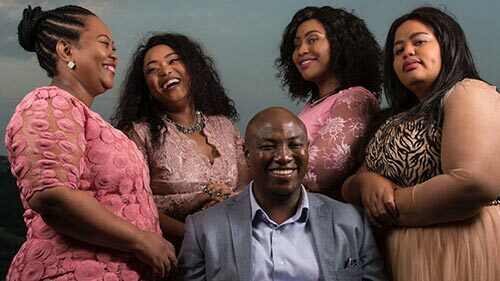 Follows businessman Musa Mseleku and his four wives as they navigate a polygamous relationship, their family dynamic, staying true to tradition in a modern world and the sisterhood of the wives. In the Season 3 premiere, "Ksazobalita! ": MaYeni and MaCele prepare for their weddings and Musa makes an error of judgement when he mingles two wives' business together. 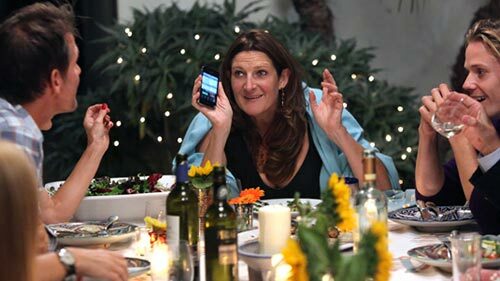 There is a lot to catch up with at the family dinner and oh yes - whatever happened to Number 5? Behold the Princess — you know the type — living a fabulous life, while her debt accumulates and family and friends foot the bills. Now it's time to grow up — and get real. 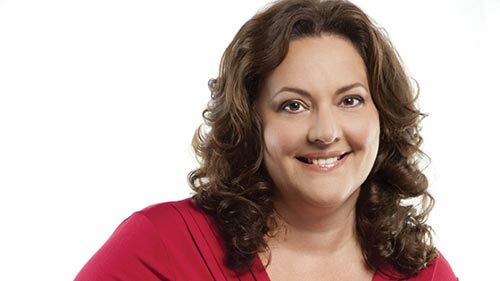 Gail Vaz-Oxlade, host of Til Debt Do Us Part, tackles the newest generation of spoiled spenders. Over a six-week period, Gail takes away these Princess's credit cards, puts them on a cash diet and challenges them to start achieving goals. Using her no-nonsense tough talk, Gail confronts, cajoles and guides these spoiled Princesses as they transform into self-sufficient young women. Fifteen questions, four lifelines and 1-million pounds... Who Wants to be a Millionaire? 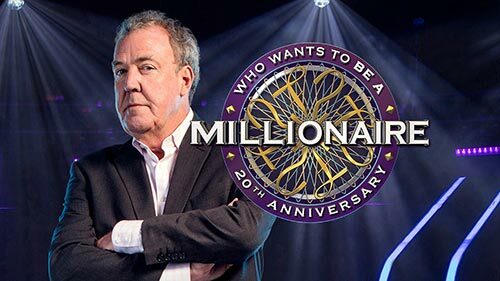 is back to mark the 20th anniversary of the show with celebratory episodes and a brand new host: Jeremy Clarkson. The show's format sees contestants taking on multiple-choice questions, based upon general knowledge, winning a cash prize for each question they answer correctly, with the amount offered increasing as they take on more difficult questions. It's the classic show with new twists and turns along the way: Fastest Finger First is back and there's a brand new lifeline: Ask the Host. But can the contestants keep their cool in the world famous Hot Seat? Big money and even bigger egos are on the line as this reality series gives you an unprecedented look into the exclusive and affluent world of high-end interior designers. Million Dollar Decorators follows five home decorators as they navigate the high-pressured design industry for their wealthy, famous and extremely demanding clients. These tastemakers often exchange advice and horror stories but are also forced to compete for the same top-tier clients whose budgets may be endless... but so is their capacity to be difficult. Mehek is the story of a young girl from Delhi, whose love for cooking is closely tied to the memory of her mother, having been raised by her aunt after her parents died. She's a simple yet assertive girl who won't allow anyone to compromise her beliefs. 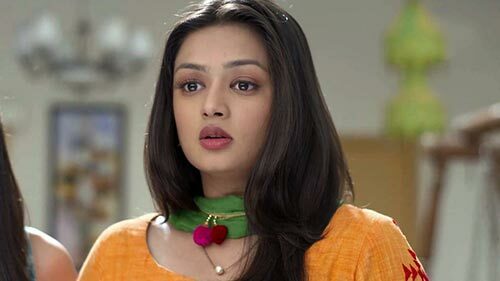 Mehek navigates love and life with the help of her aunt, Kanta, who raised her since childhood. Meanwhile, Norah and her family navigate life in India away from their home in Africa. Kanta tries to get Mehek married off to Ajay, whose scheming mother is making things difficult for Mehek's family. Things look up for Norah as she starts making friends. In Season 7, Nimrod Nkosi is once again helping people track down their fathers and reuniting long-lost family members. In the season premiere, we meet Mabuyi Ntuli. Mabuyi grew up knowing her mother could have cheated with a man from the Ntuli family - a man who happens to share the same surname as the father of her children. Will she finally know where she belongs? This is the first season without Esther - the role played by Mary Makhato, who passed away in 2017 after Season 5 had aired. As the new season gets underway, Jane and Josephine's plan to hook up Pastor with a new wife backfires when their potential candidates are either dodgy or weak, and this emboldens the men to keep Pastor single in order to continue taking advantage of him. 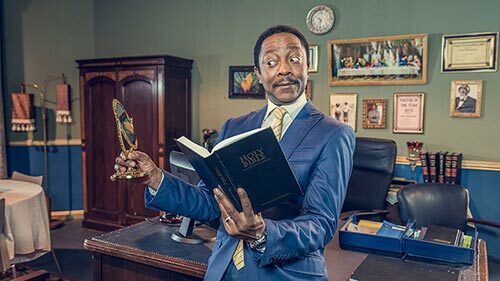 In the second episode, Ratau messes things up when he appoints himself Pastor when grieving Pastor Tlhong can't cope, and not to be left behind, R300 specialist Tsutsuma convinces Pastor Tlhong to undergo a cultural cleansing for widowers. The Taste is open to everyone - from home cooks to professional chefs - in an effort to find some of America's most naturally gifted cooks. The series features no-holds barred Chef Anthony Bourdain, British food star Nigella Lawson, expert chef/author Ludo Lefebvre, and joining The Taste this season, Chef, author and restaurateur Marcus Samuelsson. These four stars of the culinary world will compete, mentoring a team of four contestants apiece as they vie to create the best tasting dishes in a state of the art kitchen.